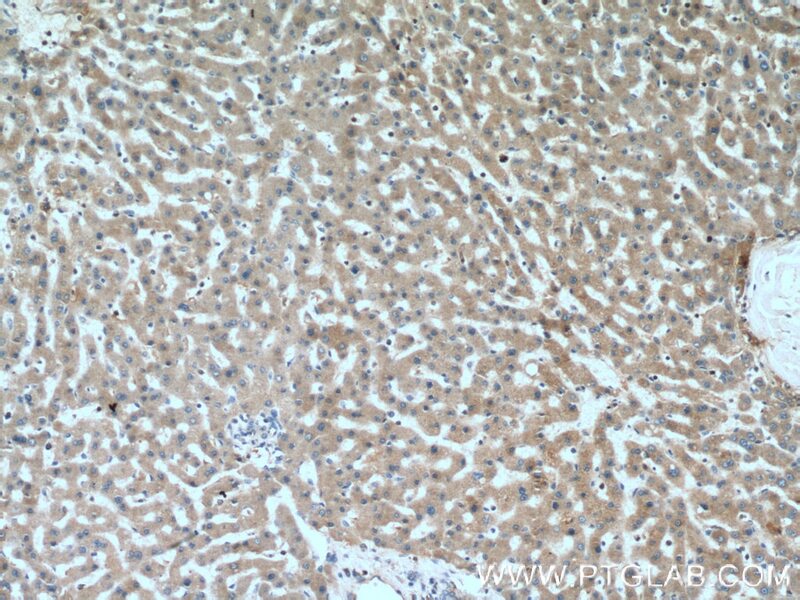 Immunohistochemical analysis of paraffin-embedded human liver tissue slide using 15837-1-AP( C4BPB Antibody) at dilution of 1:200 (under 10x lens). 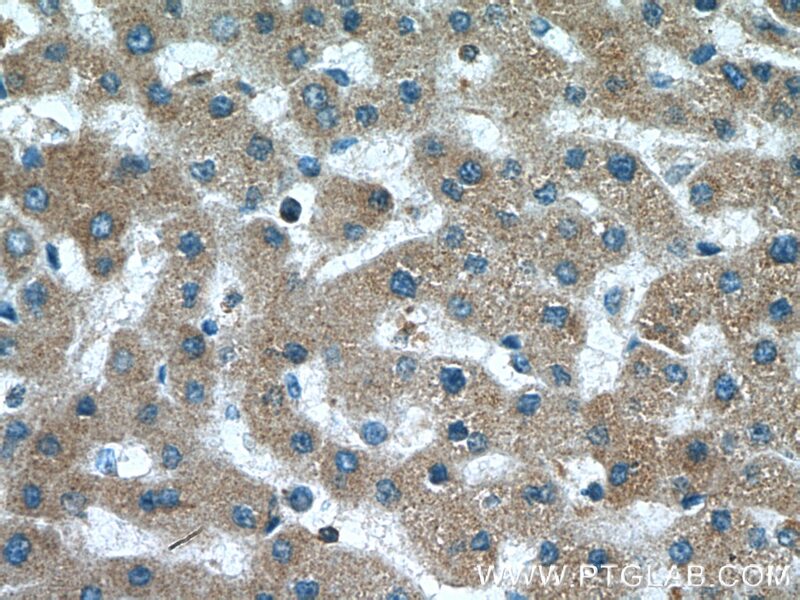 Immunohistochemical analysis of paraffin-embedded human liver tissue slide using 15837-1-AP( C4BPB Antibody) at dilution of 1:200 (under 40x lens). C4b-binding protein (C4BP) is a large oligomeric glycoprotein, present in plasma at a concentration of approximately 200 mg/L (PMID: 24218259). It is the main inhibitor of the classical complement and lectin pathway. C4BP is composed of two polypeptides (alpha and beta chains), which have molecular weights of 70 and 45 kDa, respectively (PMID: 7561113). 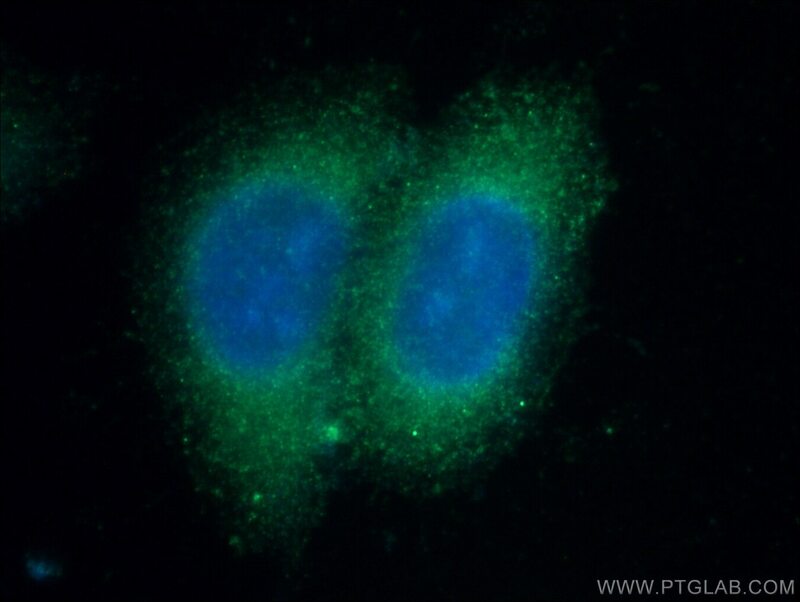 This polyclonal antibody is raised against the C4BP beta chain (C4BPB).